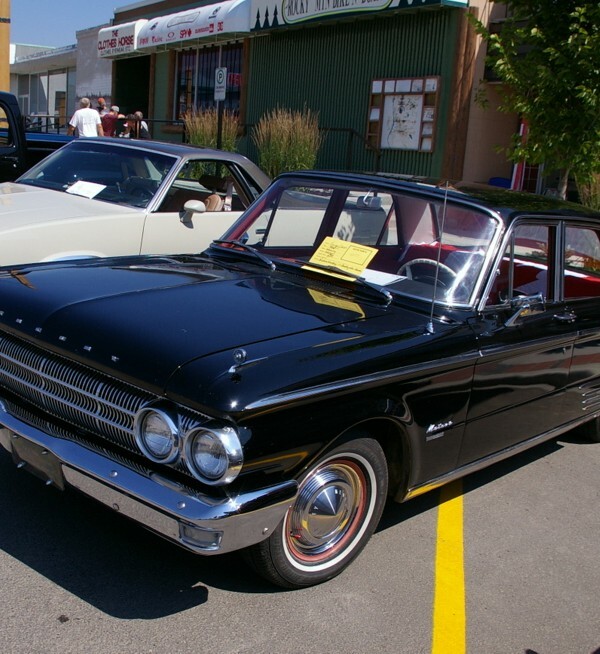 A black 1962 Mercury Meteor four-door sedan garnered plenty of attention at a summer car show. 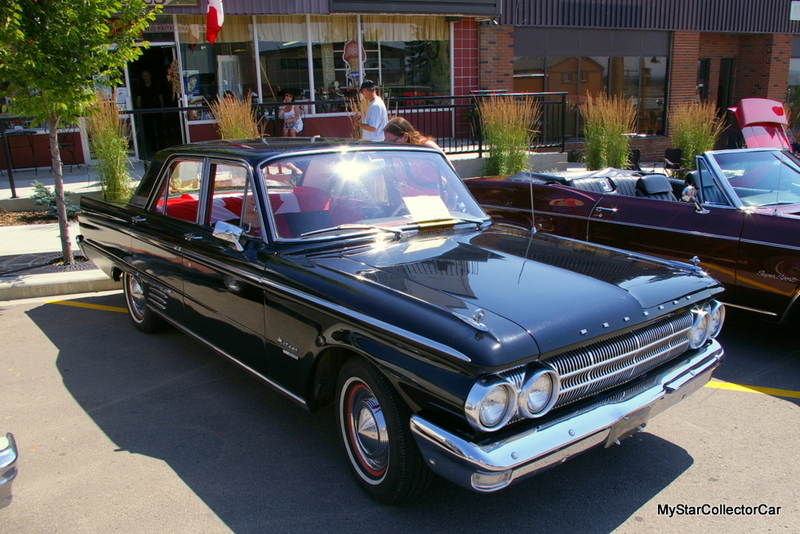 Some Canadian car guys will bristle at the Mercury Meteor name because the two are typically standalone names that are never mentioned in the same sentence, according to them. 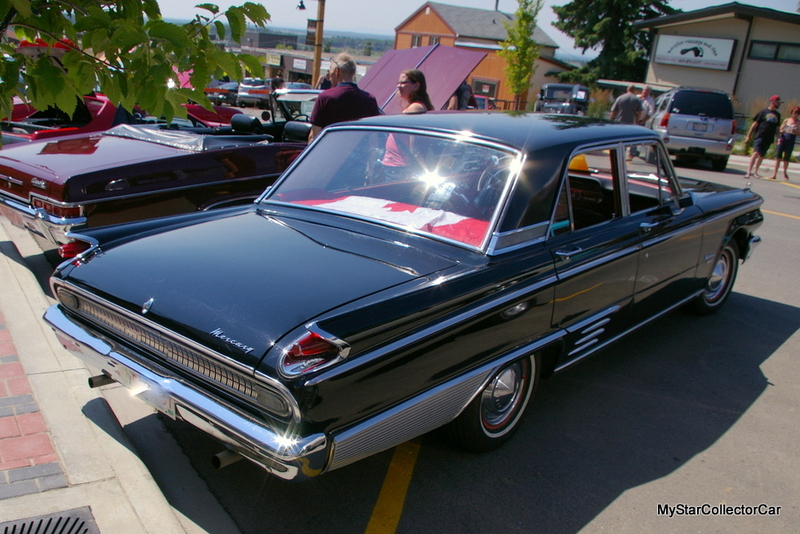 Meteor is a name that was long associated with Ford of Canada as a uniquely Canadian brand, but Mercury appears to have borrowed the Meteor name for its mid-sized models from 1961-63. 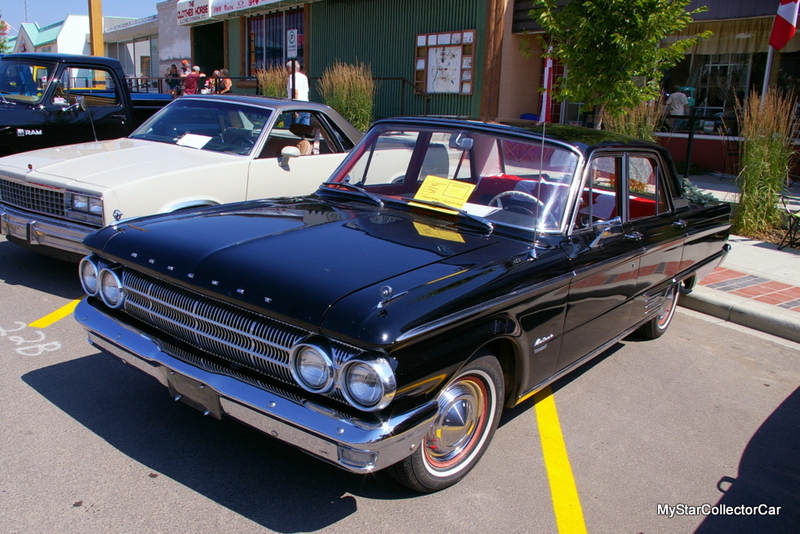 Thus a Mercury Meteor wended its way to an entire North American Ford customer base for three model years in the early Sixties. One of the Mercury Meteors made its way to a funeral business in 1962, according to its current co-owner. Kristina Murphy is the co-owner of the 1962 Mercury Meteor sedan with her boyfriend. She is also a young female owner of a car that is older than her own mother. Kristina believes the car was used as a “wailing car” to transport bereaved relatives and friends of the deceased to funeral or burial services. 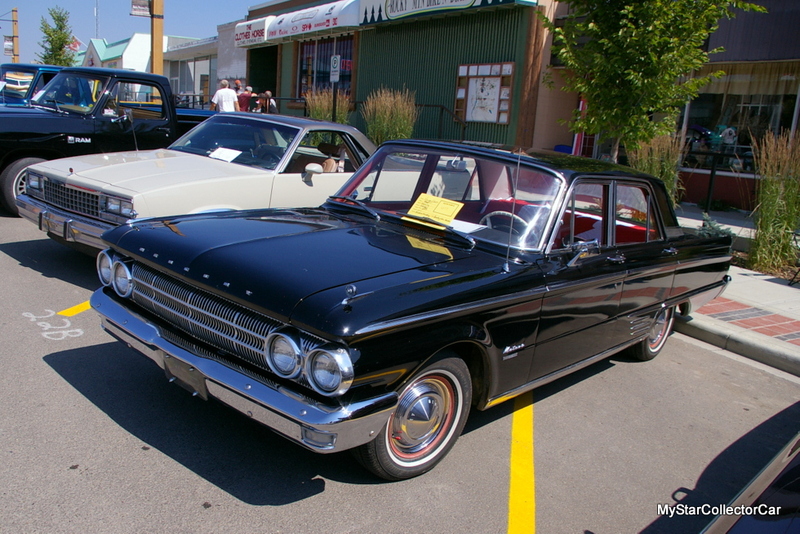 The 1962 Meteor was big enough to handle six passengers in ’62 and its somber color (black) was common 56 years ago so it was named Black Beauty. 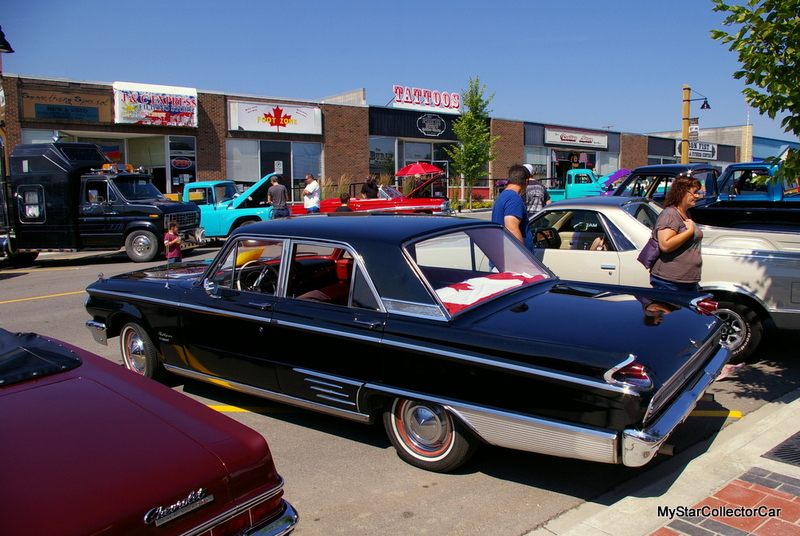 As mentioned earlier, Kristina was born long after the 1962 Mercury Meteor debuted, but she is a huge fan of the car in 2018. Her boyfriend’s father was the previous owner of the Merc and was willing to sell it a few years ago. A test flight for the Meteor took place in early June, 2017 and became a road adventure for Kristina and her boyfriend when the water pump went on the Meteor. The 56-year-old car was disabled and required a tow. Unfortunately, the car’s lights were damaged during the rescue mission and required replacement. It was a blustery cold day when the Meteor’s water pump failed but Kristina still loves her car, even though she labeled it as a “very sad car show”. She is adamant about the car’s future plans when Kristina told MSCC her car is “not going anywhere” under her watch. Kristina and her boyfriend have kept the car well within the affordable range by doing their own repairs and finding decent radial tires on a popular social media site. The car was an upscale version when it left the factory in 1962 and has full factory wheel covers, power steering and brakes. 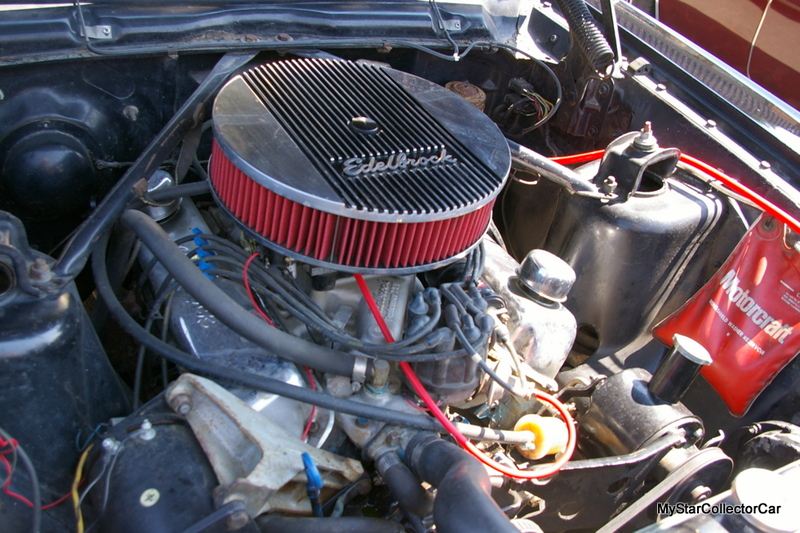 It also has its original factory small block V-8 and automatic transmission. 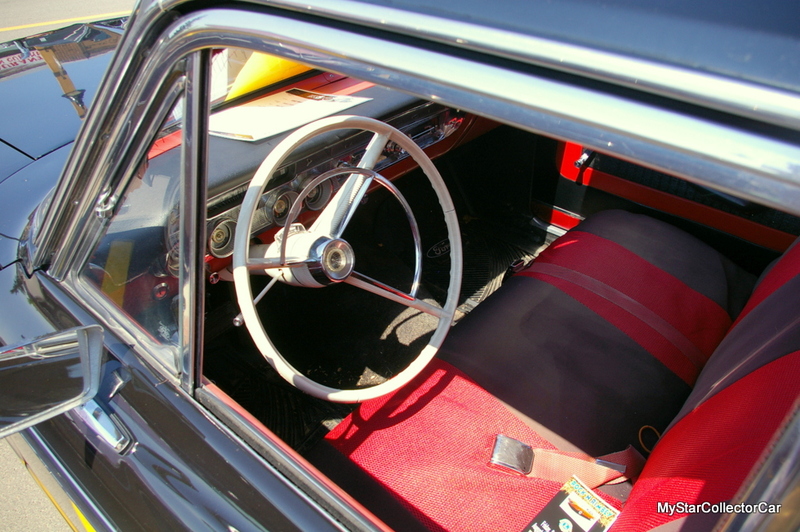 Kristina did reveal the padded dash was added to the Meteor. 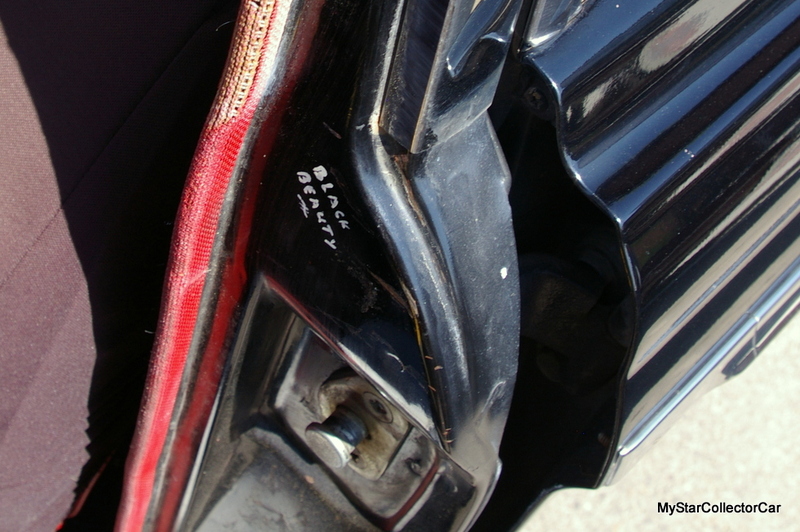 MSCC noted the car also has a wide array of factory gauges instead of the warning lights that were called “idiot lights” by some of the more outspoken automotive writers of the early Sixties. Car guys from the era may recall how warning lights came on a little too late for a cautionary approach to the situation. Kristina loves driving the car and noted that her Meteor is able to “go with the traffic”, according to her. MSCC was very happy to add this young woman to the car guy ranks and applaud her enthusiasm about her 1962 Mercury Meteor.